We love hearing about your successes when you come into the office. We treat many different types of athletes and athletes of all ages. 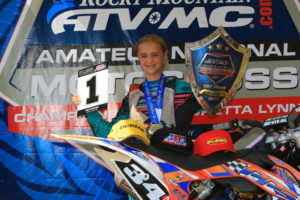 I’d like to brag about Tayler a 12 year old patient who recently won the Highly coveted Loretta Lynn’s Amateur National Motocross Championship in Tennessee in the girls 9-13 class. 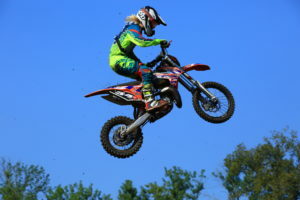 She won all three motos declaring her the champion for 2016. Your kids are probably much like Tayler, with a love for a sport that is demanding on their bodies. Let us help prevent, repair and provide pain relief that is drug free and without harmful side effects. Do not let pain get in the way of your goals. Call today 801-569-1141. If I am ever trapped under a car, this is the family I’d want close by. The Caughey Family are World Champion Powerlifters. 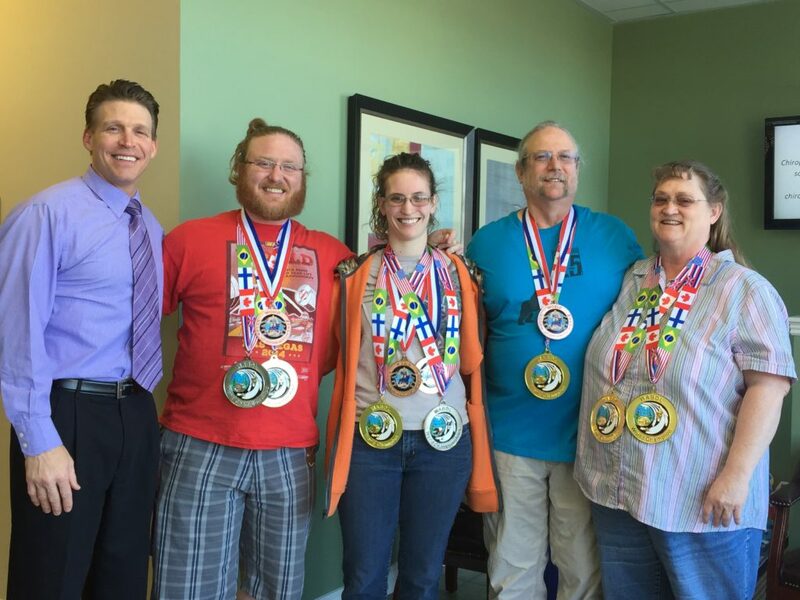 Their medals include a Gold Medal at Utah Summer Games, 23+ State and Regional titles, and several World Champion titles. They are as kind as they are strong. It has been rewarding to treat them and help them achieve their personal weightlifting goals. I have been able to review film to find biomechanical concerns and correct mechanical glitches that were preventing proper movement that leads to loss of strength, pain, and long term wear and tear. I love my job and the people I get to work with. I love helping patients reach goals and feel good doing everyday activities. I have had back, knee, and shoulder injuries throughout my life. I know how it can cause emotional stress and prevent us from doing the things we love. Lets face it, it even prevents us from doing the things we don’t love but have to get done. A big thank you to the Caughey Family who were so kind to take time to write testimonials about how chiropractic and acupuncture has helped them and for allowing us to share their successes.